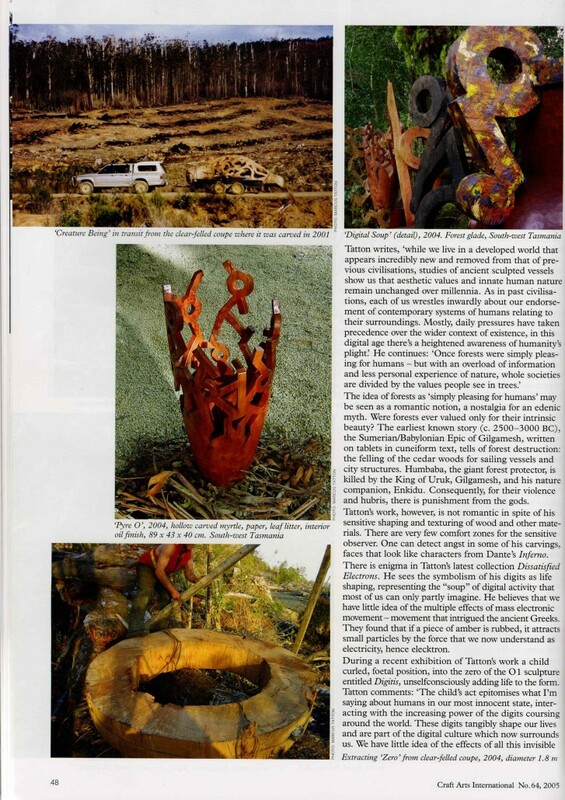 Artlink Vol 34 #1 pg 93 Review . See opposite. 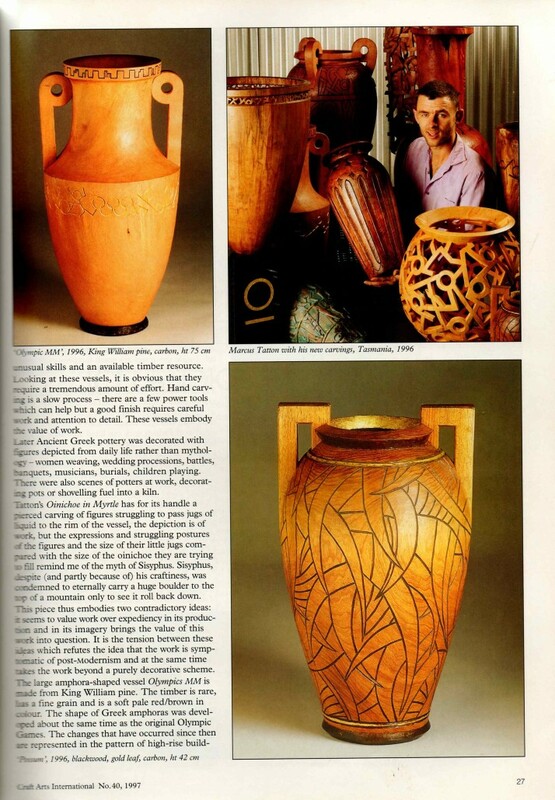 Tasmanian Life Artist Profile p36 Winter Edition. My Tasmania, Leo Schofield, Saturday Magazine,p2 March 30th. Art open to Interpretation. Sunday Tasmanian, p21 August 5th Diverse Work. The Mercury, p19 Dec 21st Artist’s Woodpile is his castle. 2011 Aarhus Stiftstidende May 25th. Front Page Photo, p12 Photo Story. 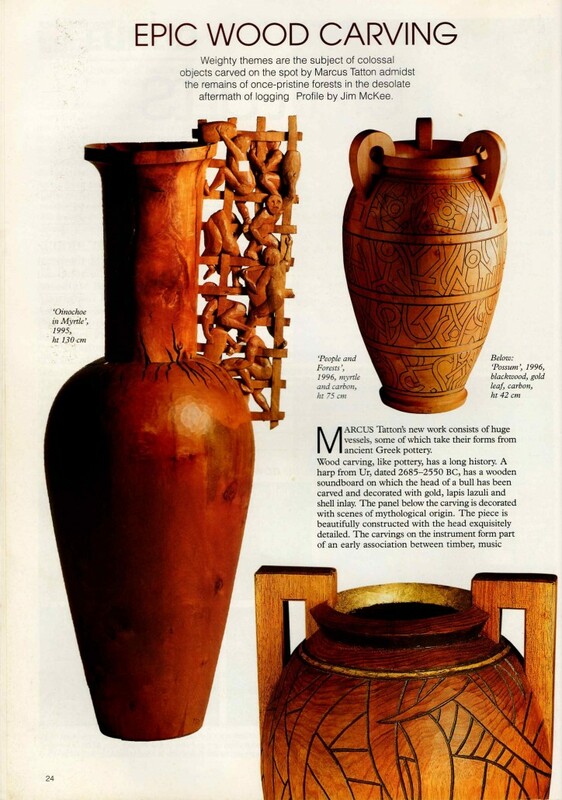 The Mercury Tuesday May 17th, p9 Artist Funds Work Hard for Sculptor. See opposite. 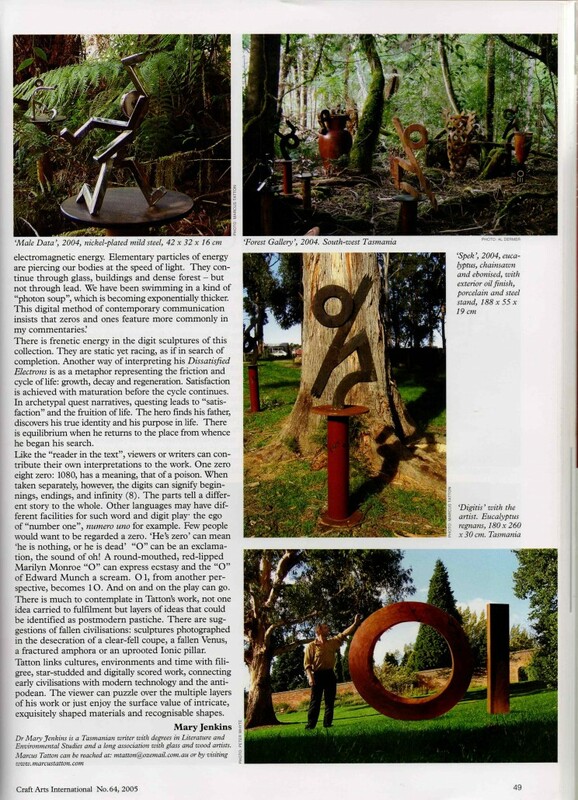 The Weekend West Newspaper, Perth, p12 Photo of ‘Environment’ at Cottesloe Sculpture x Sea. The New Zealand Herald 28th January. NZTV1 News 29th January. Channelvision/TransTV Canberra: 4 times per day for one week from 12 noon on Friday 6th August. Channelvision/Foxtel/Austar: (National) Channel 183 : Sunday 8th August @ 7.30pm & Weds 11th August @ 9pm. channelvision.com.au Wide Brown Land Sculpture, Canberra. The Sydney Morning Herald. 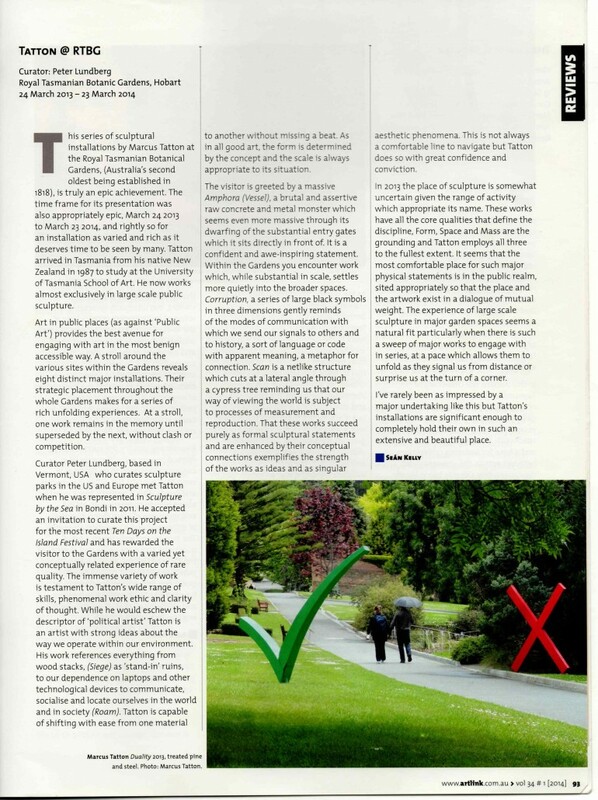 pg 18 ‘The Critics’ June 13-14 by John McDonald. Sculpture by the Sea, Aarhus, Denmark. Photo of ‘Carbon Equation’ in Aarhus. Craft Arts, pg 68 Photo of ‘Carbon Equation’ in Aarhus. Tasmanian Country, p30, Friday 25 April, Building a Remnant. 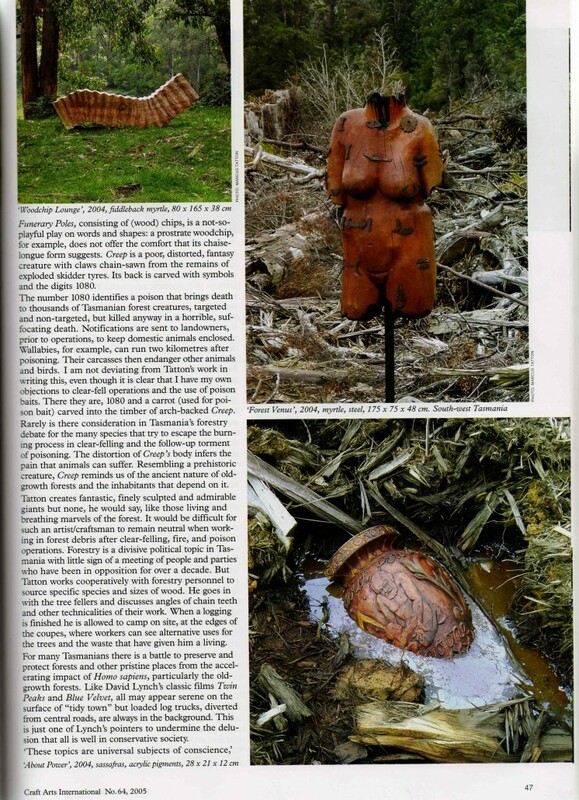 Tasmanian Country, p31, Friday 25 April Advocating Sculpture for the Masses. 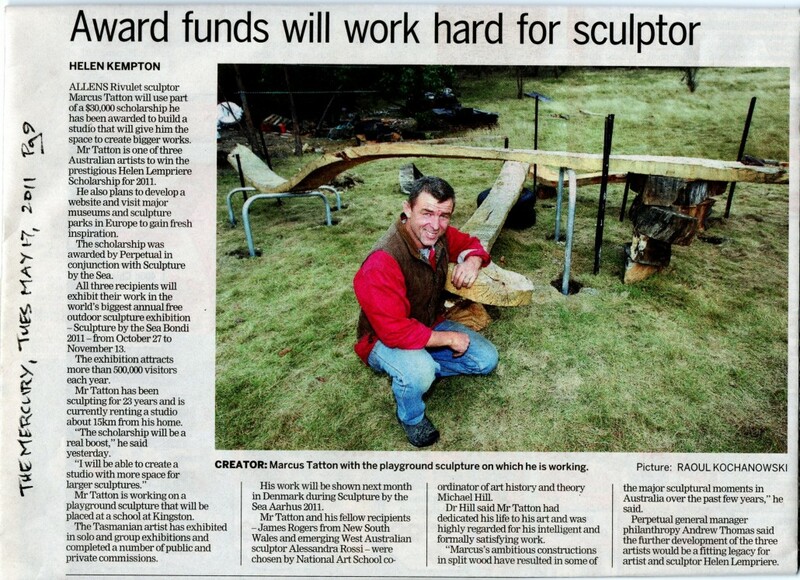 Launceston Examiner, p3, 26 April, Sculpture will be created from Firewood. Sunday Tasmanian, pg84, April 27th Wood stacks at Agfest. The Mercury Magazine, p3, Saturday May 10, A Uniquely Tassie Triumph. ABC TV ‘Sunday Afternoon’ 9 minutes 30.9.07- Contemporary Sculpture. 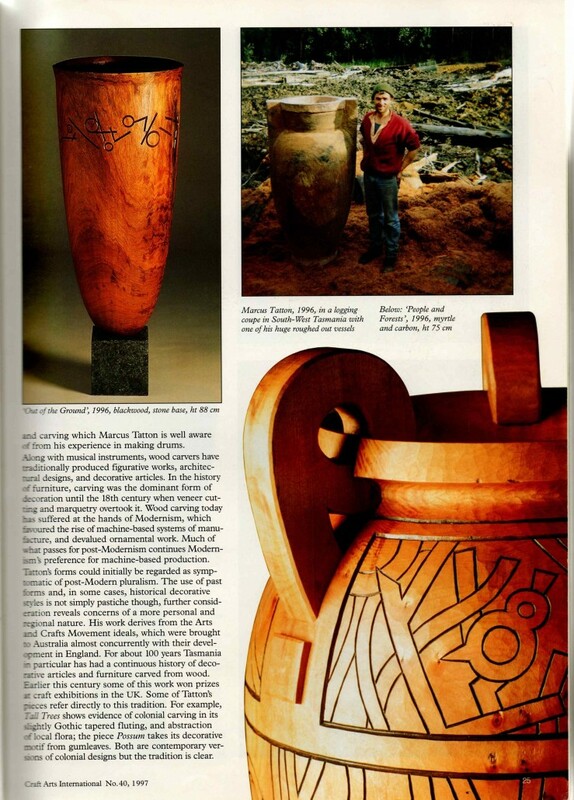 Australian Wood Review Front Cover, pp46-49. Ovation Channel; In Conversation with Leo Schofield – Neika Studio Interview. 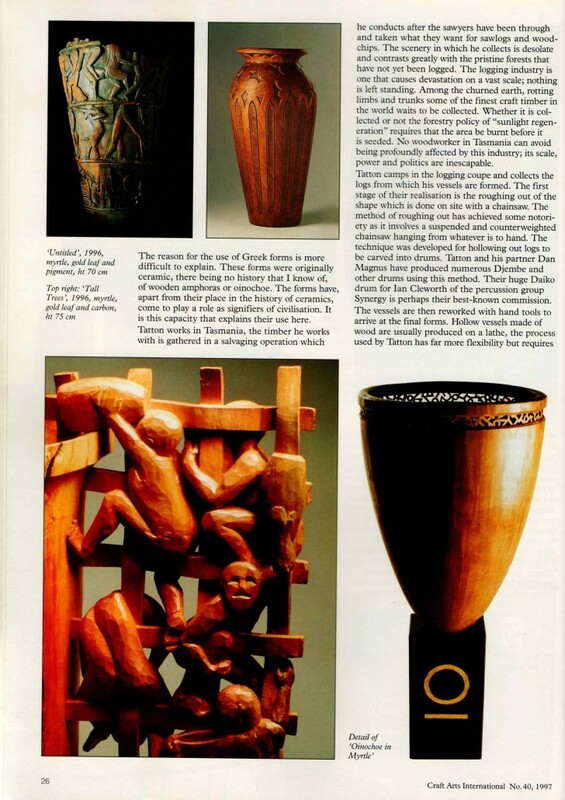 Craft Arts international #64, 2005. See opposite. 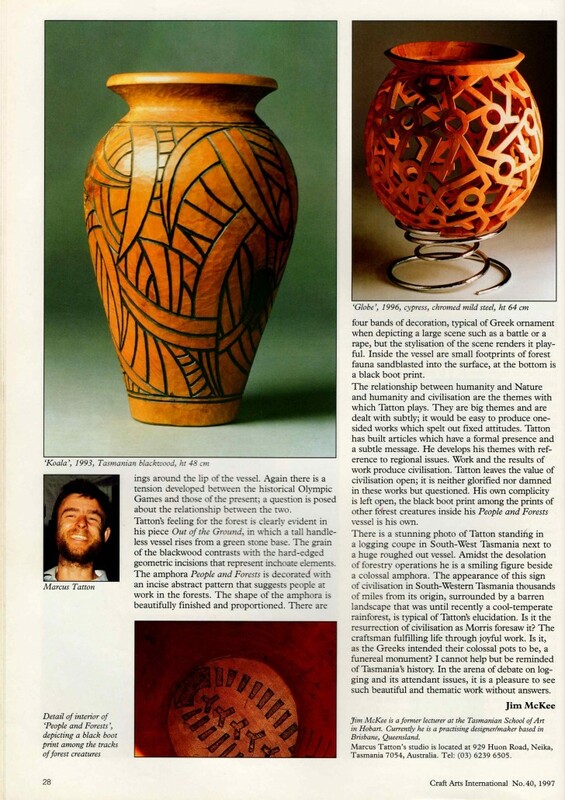 Exhibition opening talk by Richard Flanagan – Text of a Talk by Richard Flanagan 1993.